We will be running our Summer Camp from Monday 10th August to Thursday 13th August in the multi sports hall at St Matthews Academy. Spaces are limited to 14 players each day so please don’t hesitate to get your place booked. Coaches will be Chris Main & Richard Main. 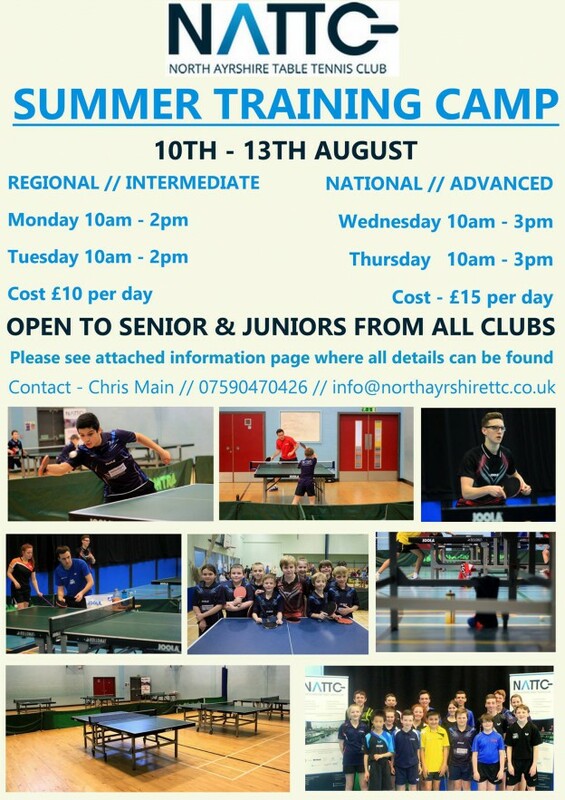 All information are the attached posters but if you are unsure of anything please email info@northayrshirettc.co.uk or contact Chris Main on 07590470426.